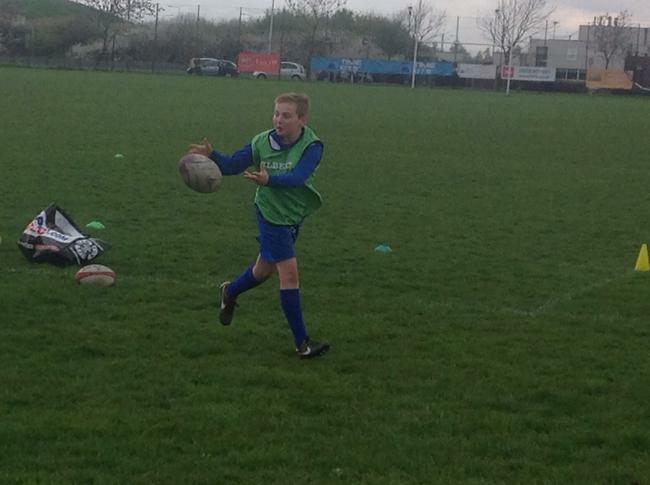 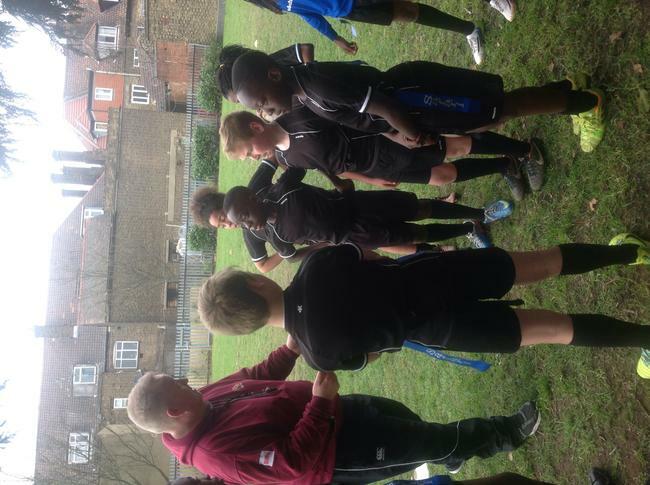 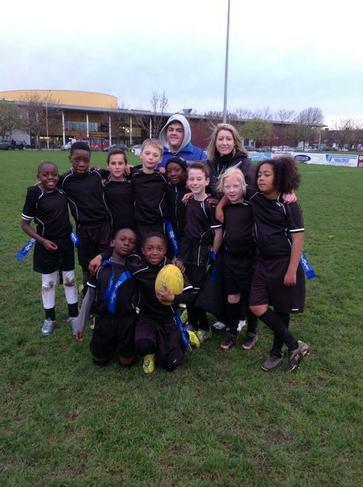 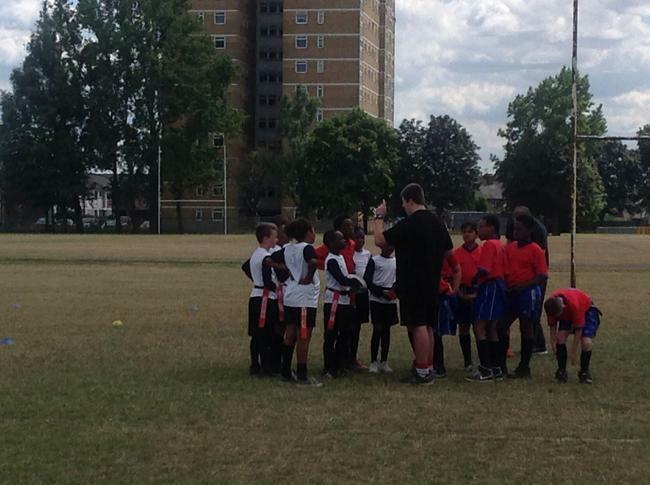 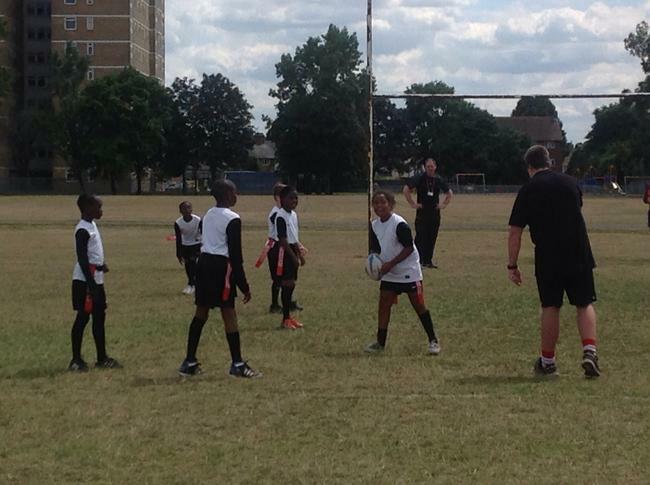 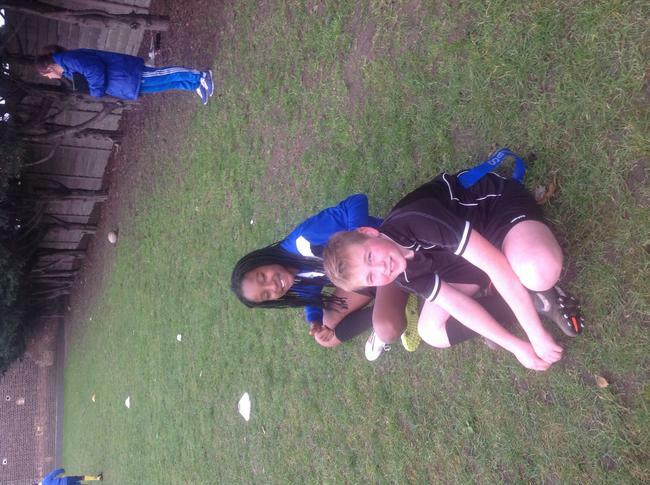 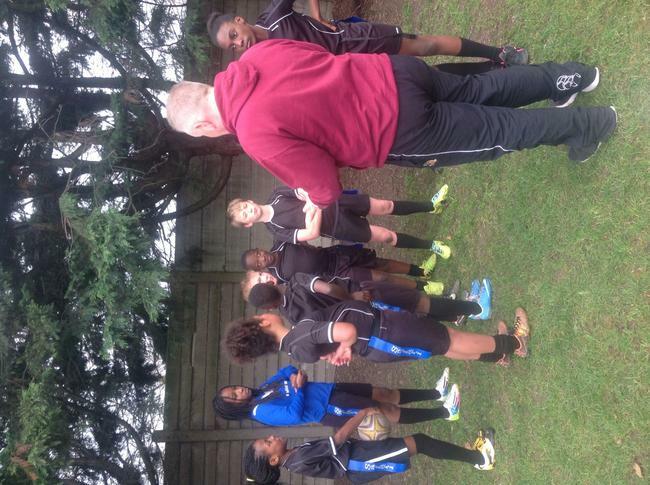 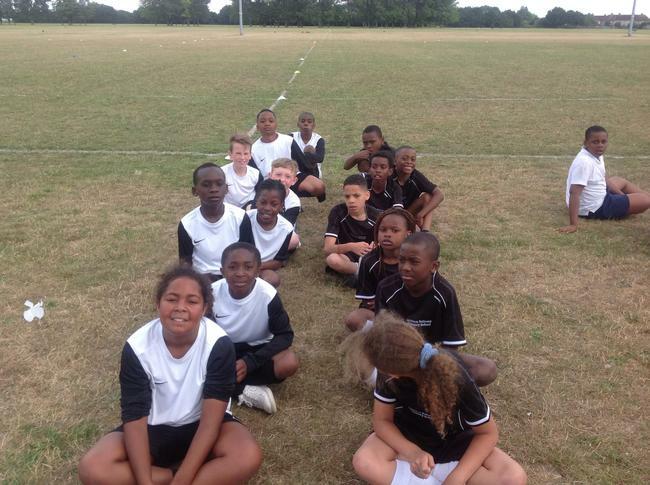 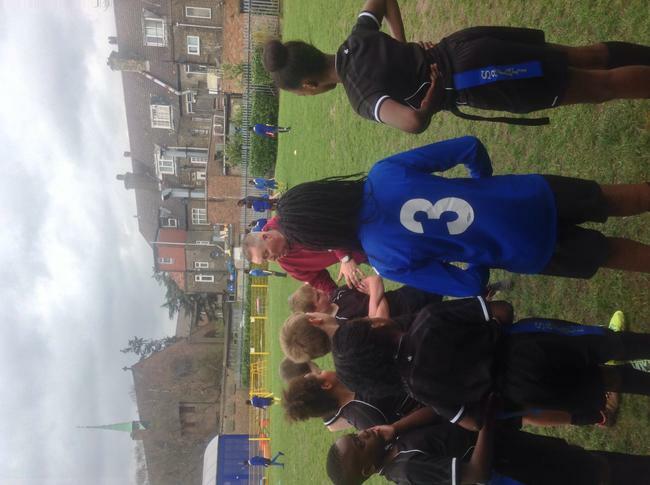 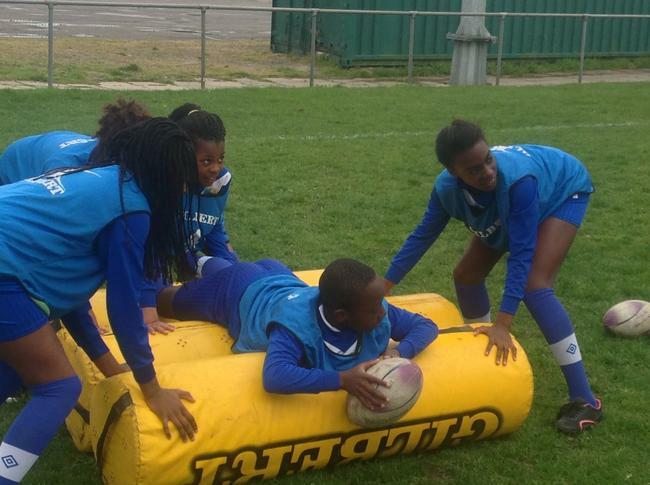 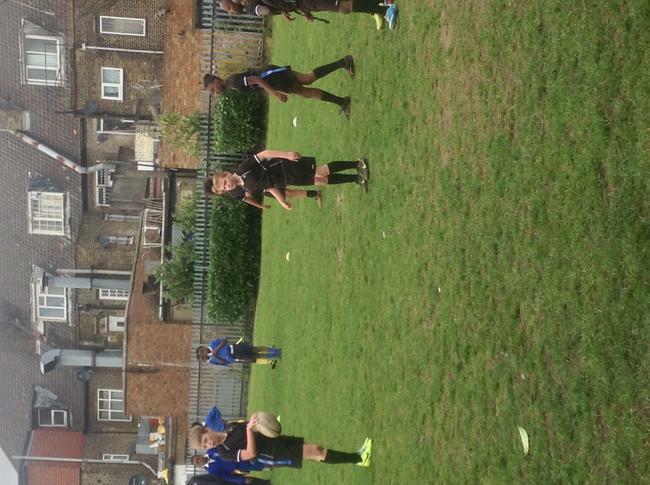 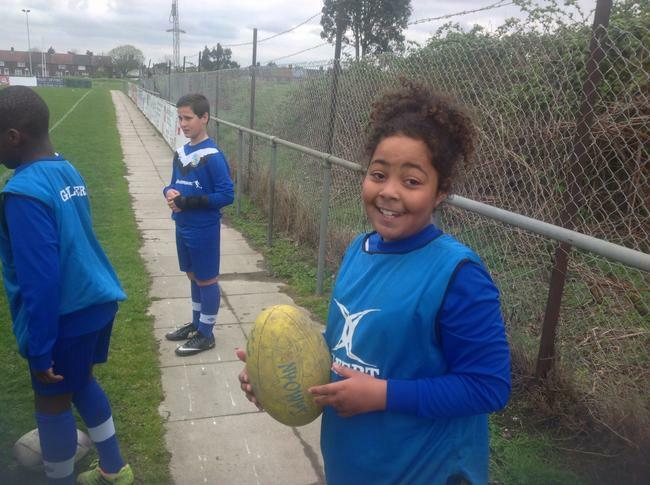 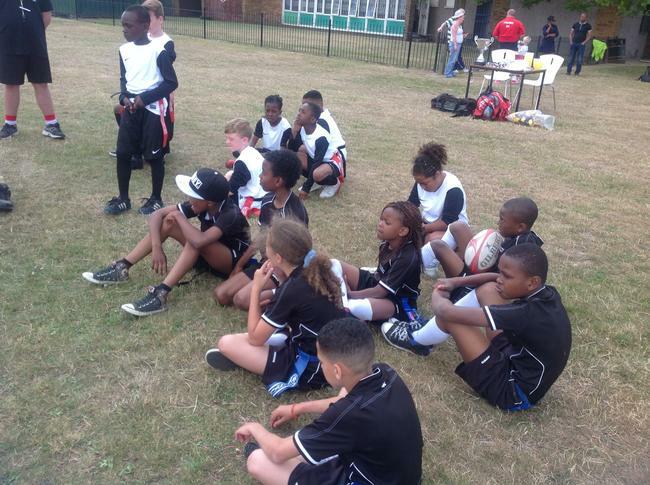 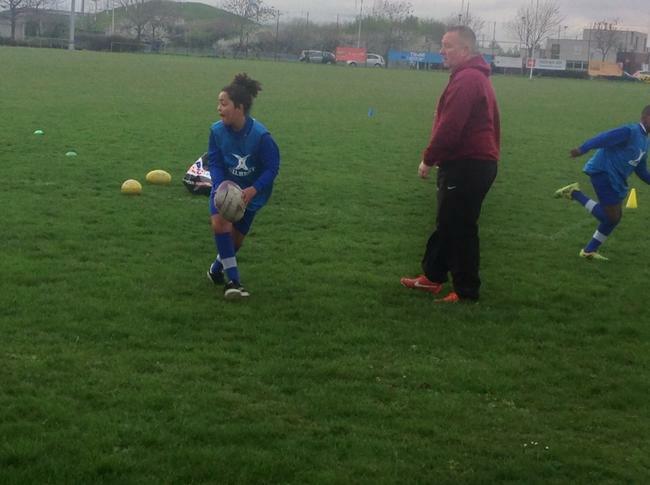 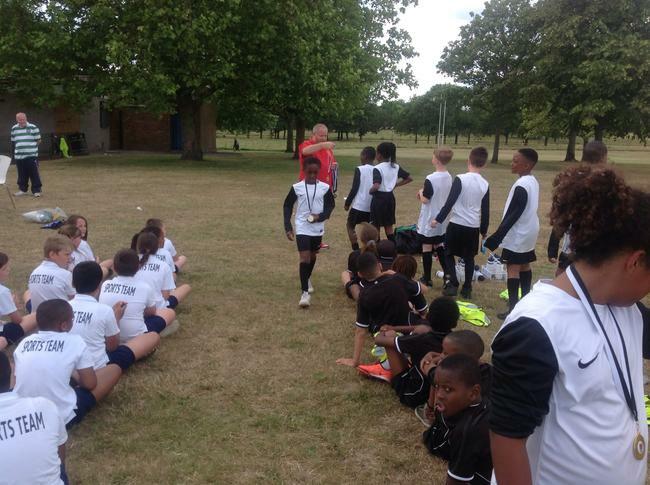 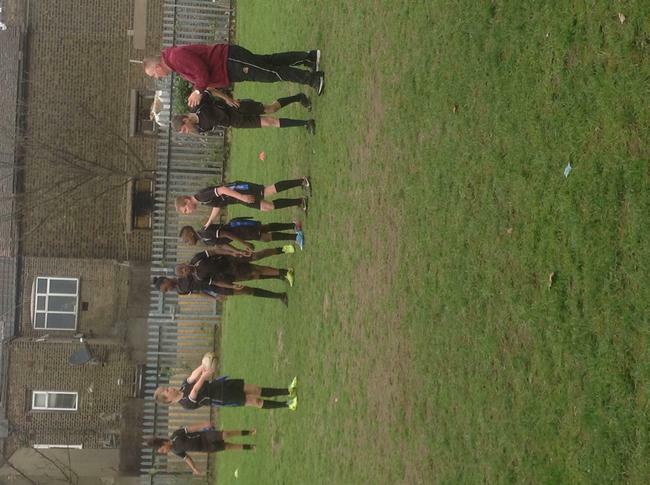 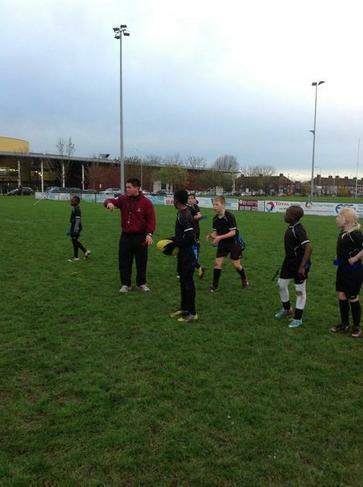 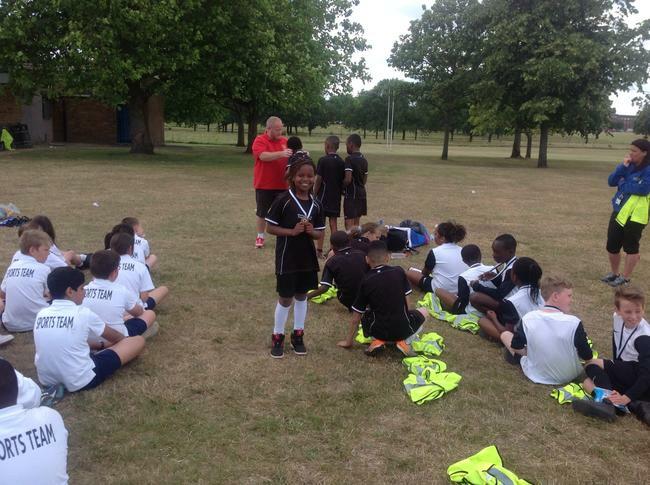 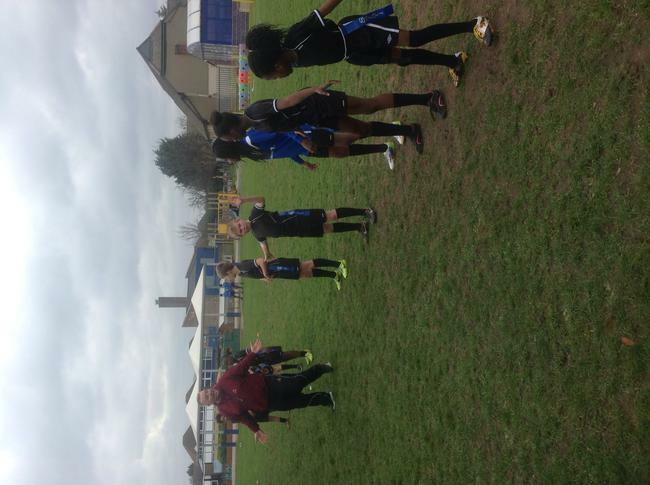 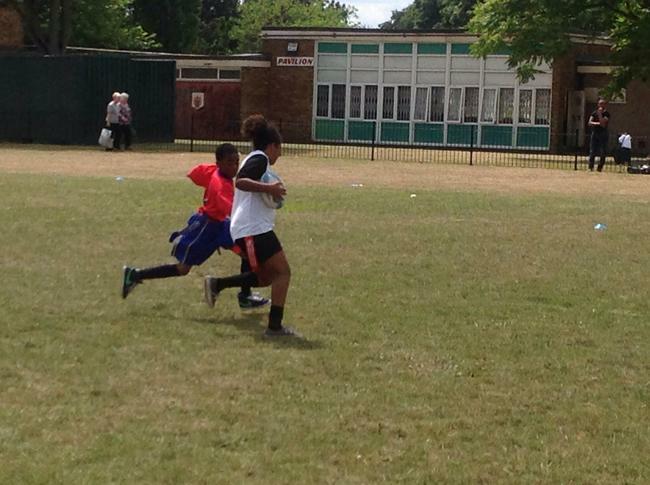 Our Tag Rugby Team had a wonderful Rugby Experience thanks to Neil Kersey from Barking Rugby Club. 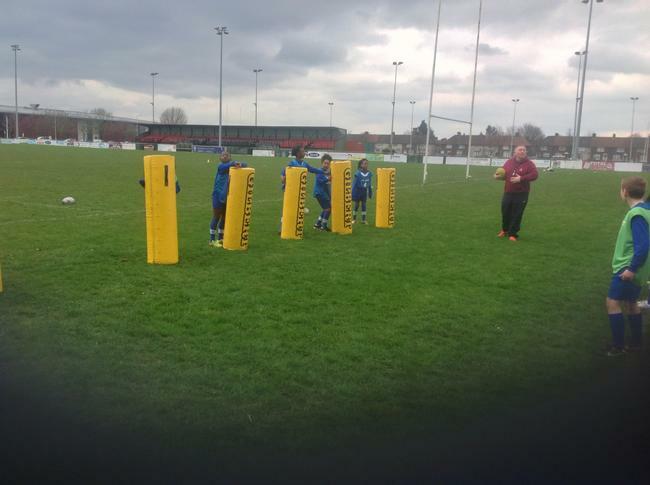 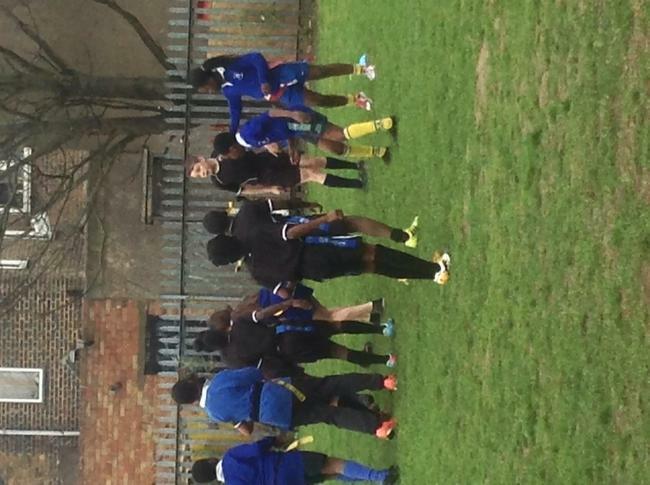 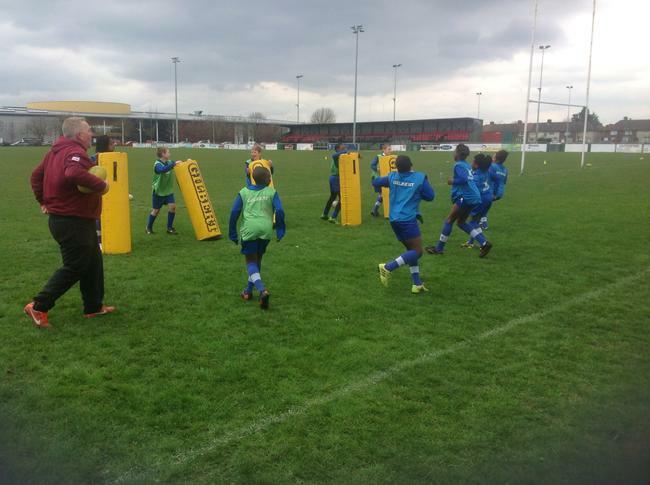 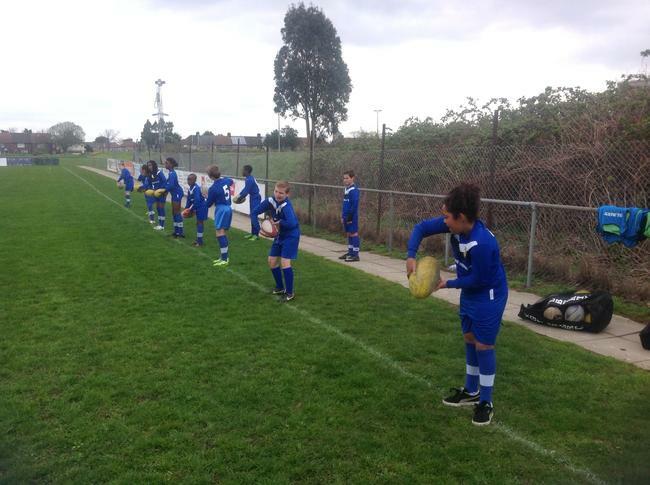 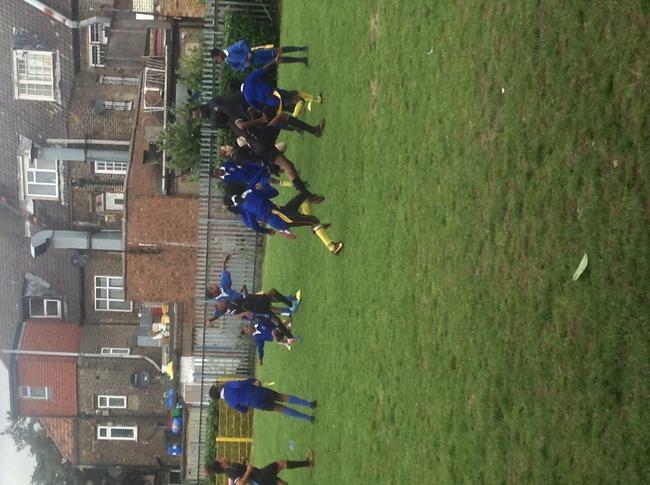 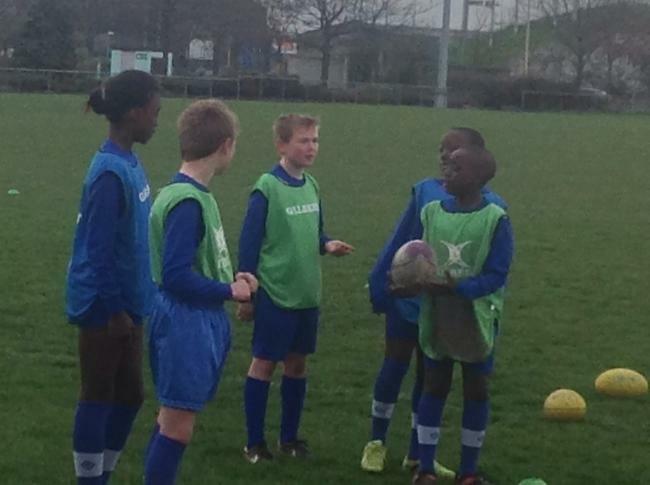 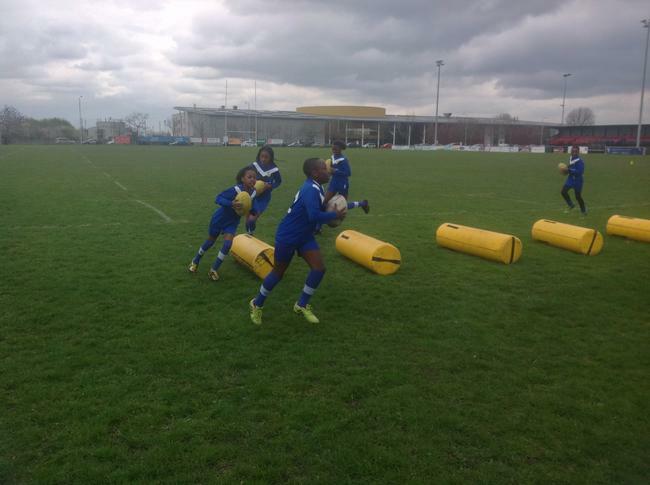 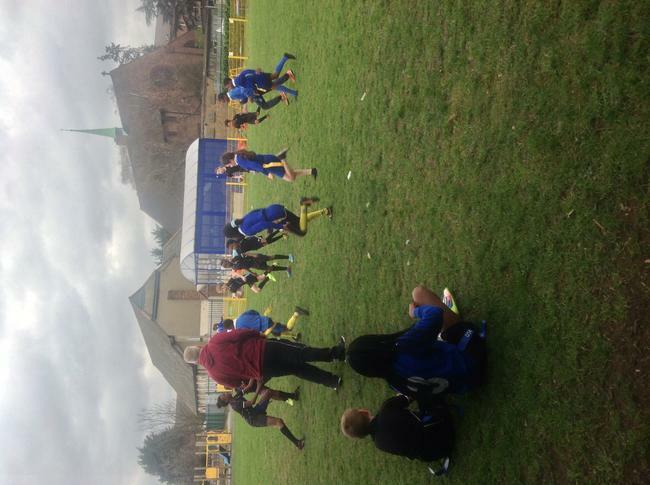 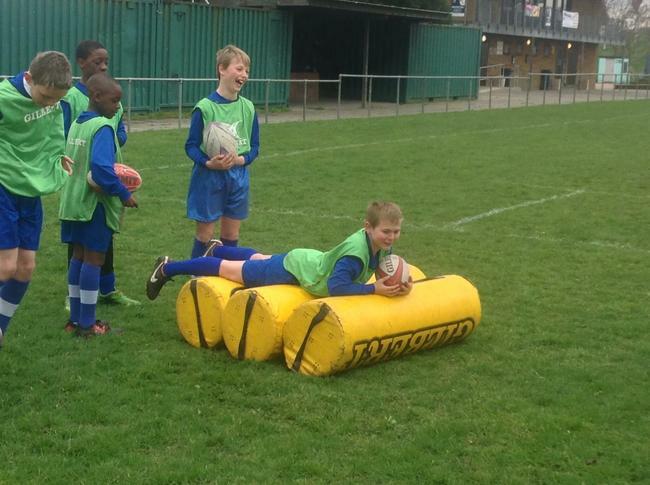 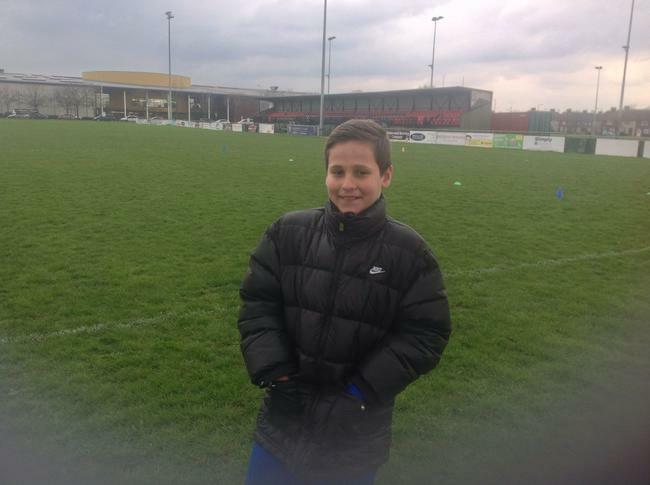 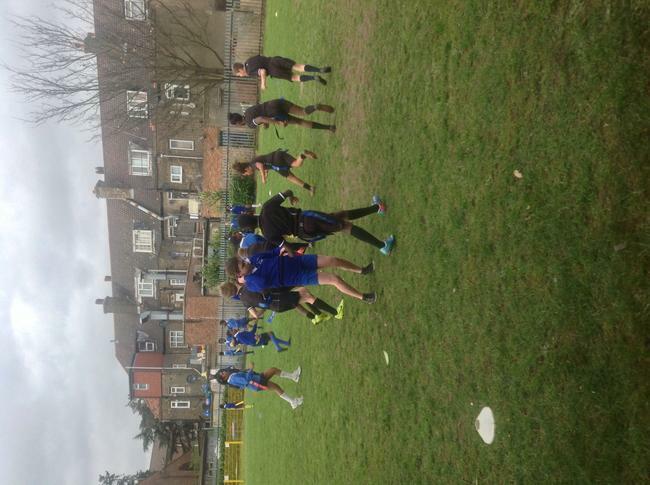 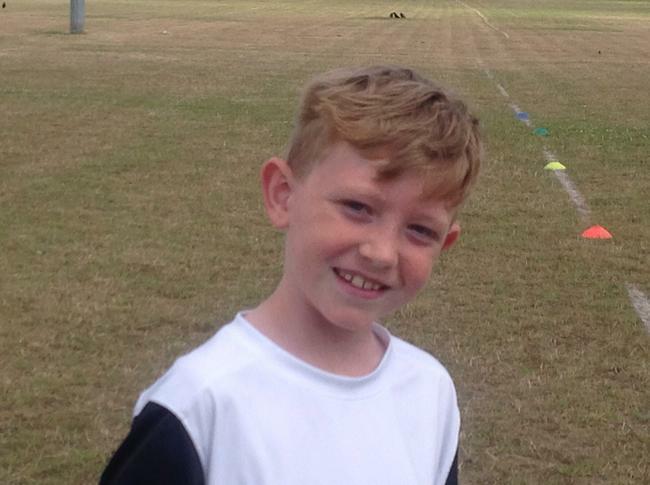 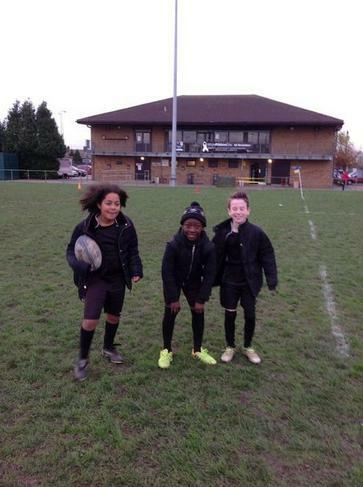 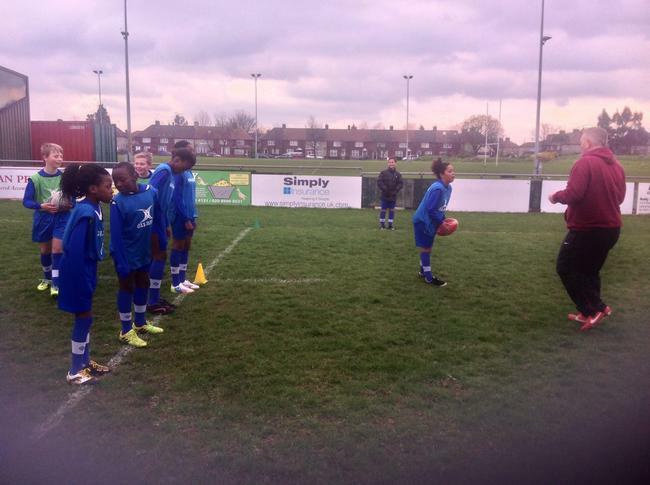 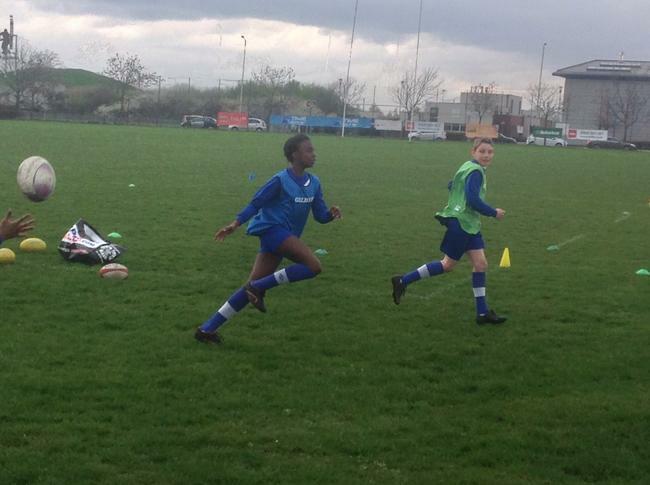 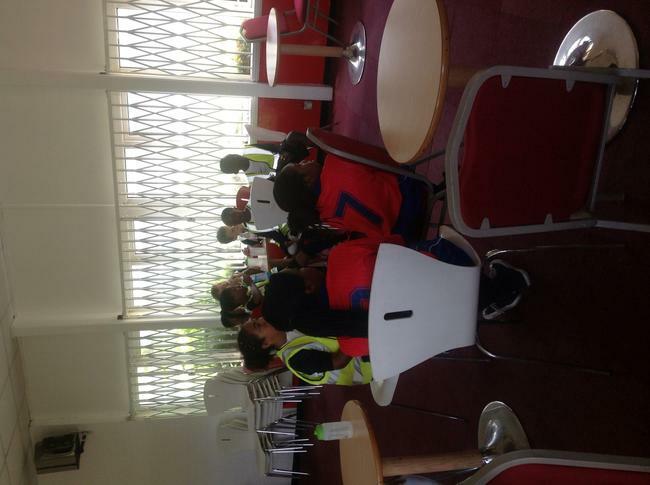 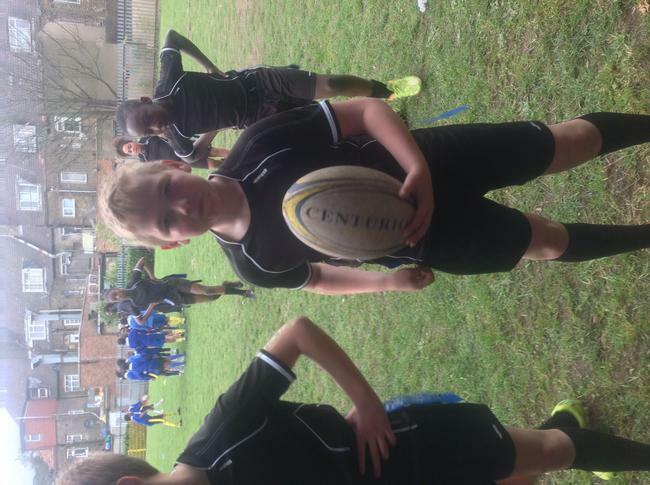 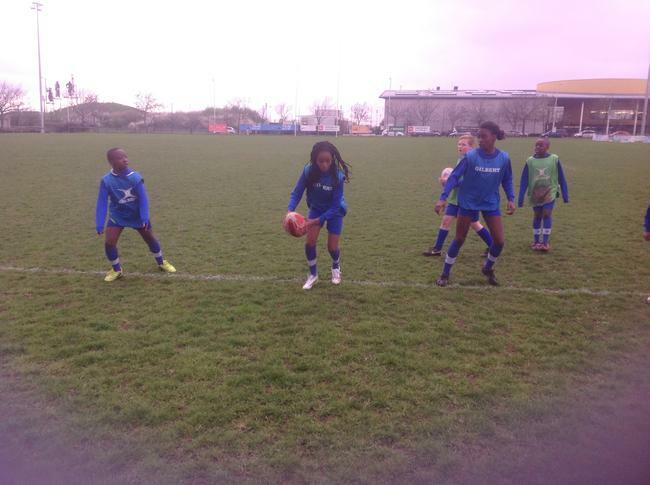 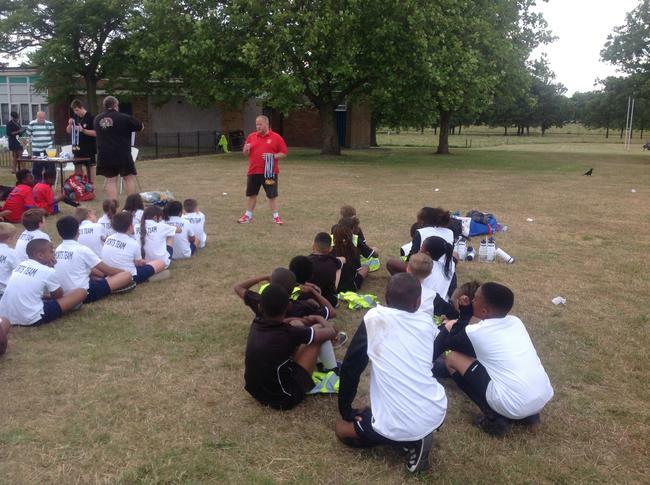 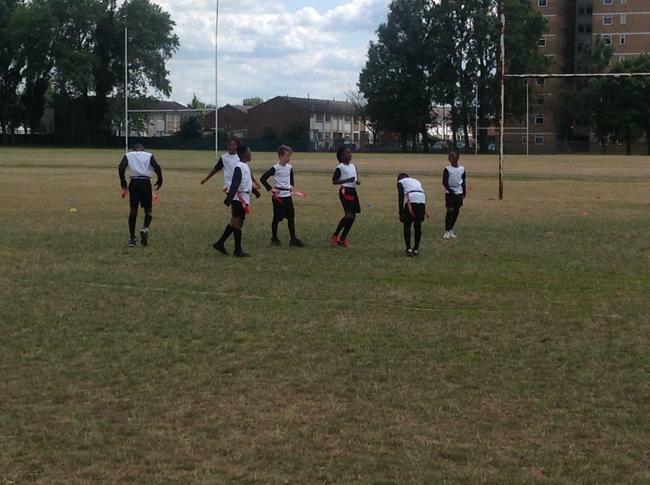 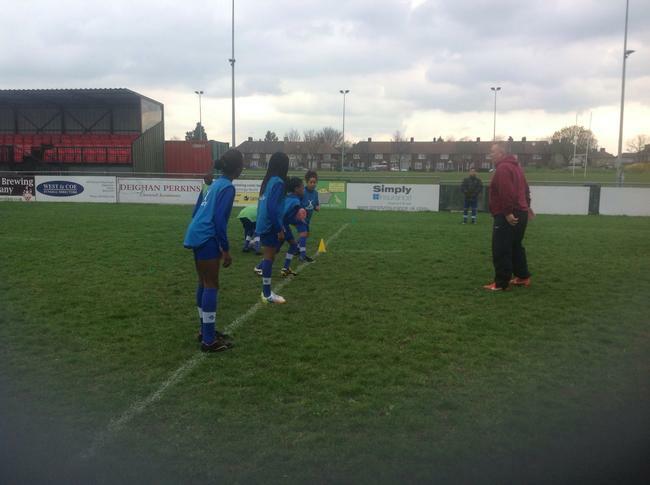 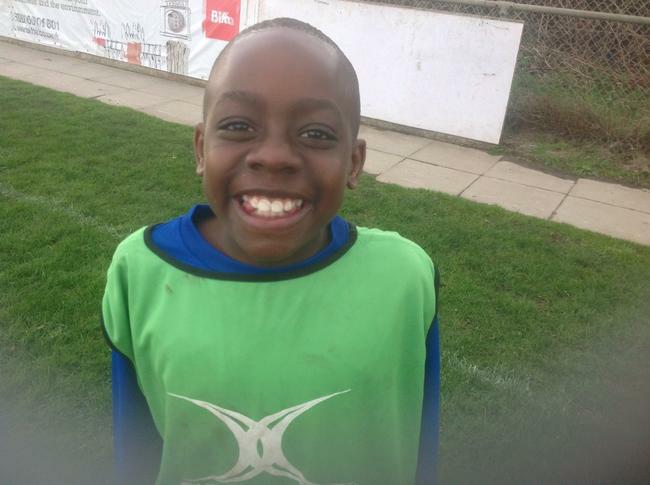 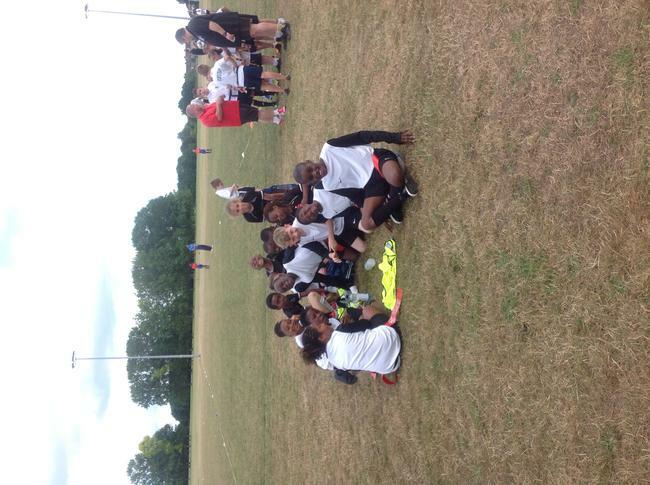 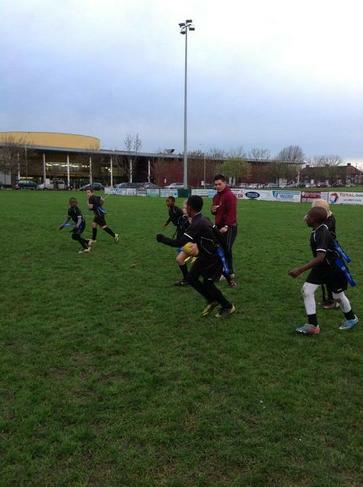 The children went down to Barking Rugby Club, they got changed in the first team's changing room and went out to the main pitch to have an intense training session. 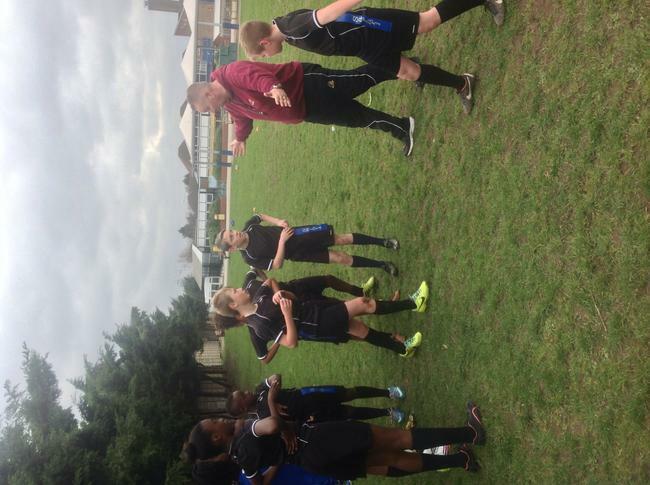 Neil provided the team with problem solving tasks and tactical advice. 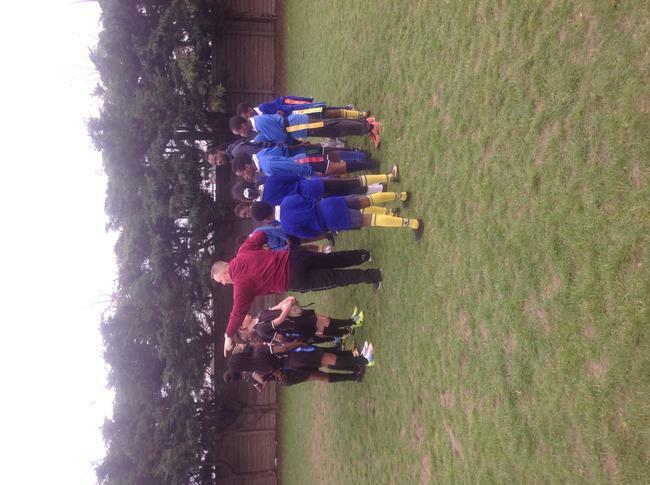 The team had a great session and improved their defensive communication as well as their attacking play. 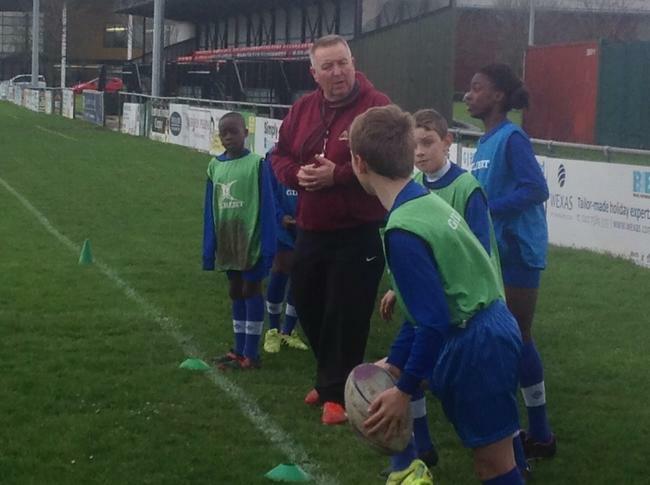 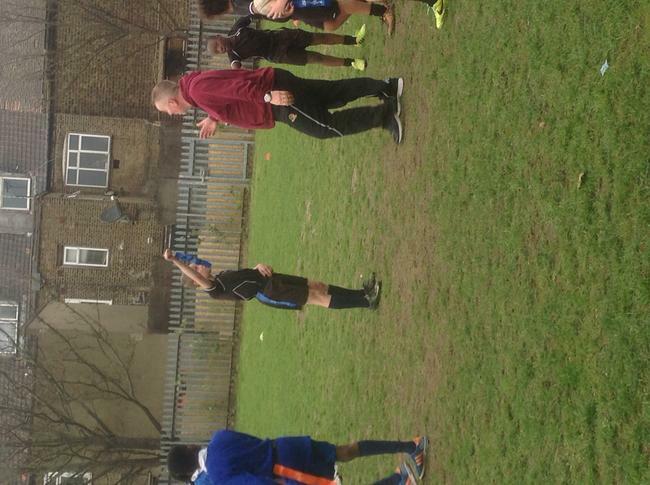 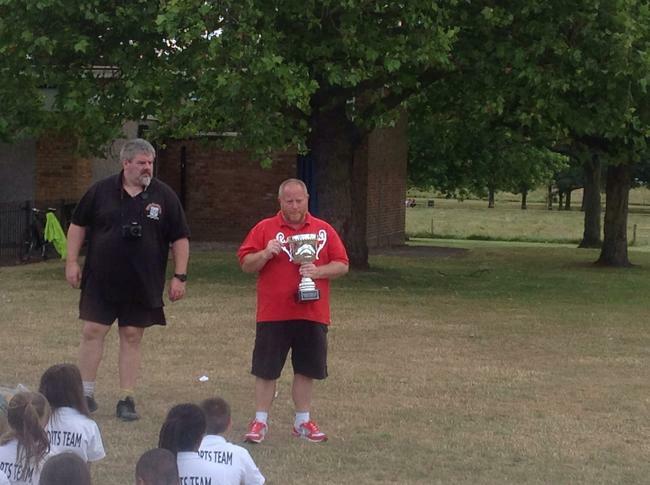 Thank you Neil and thank you Barking Rugby Club. 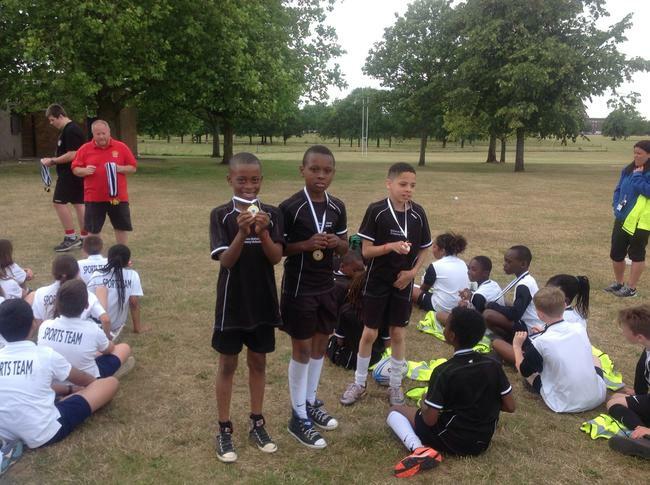 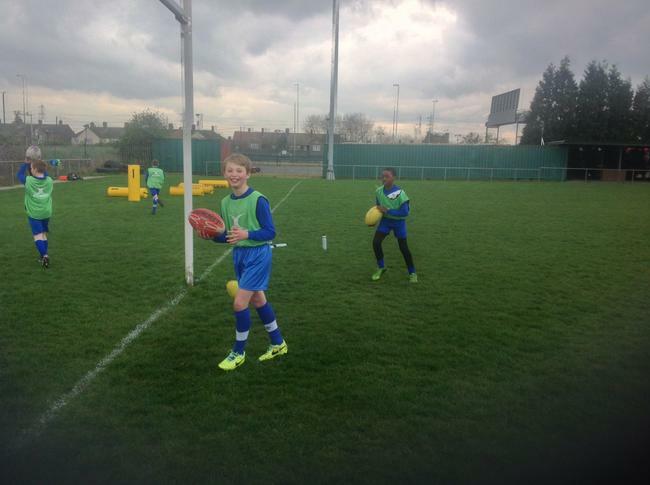 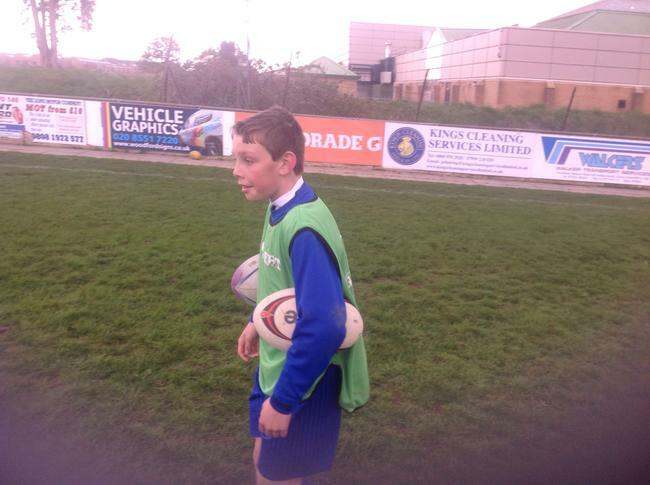 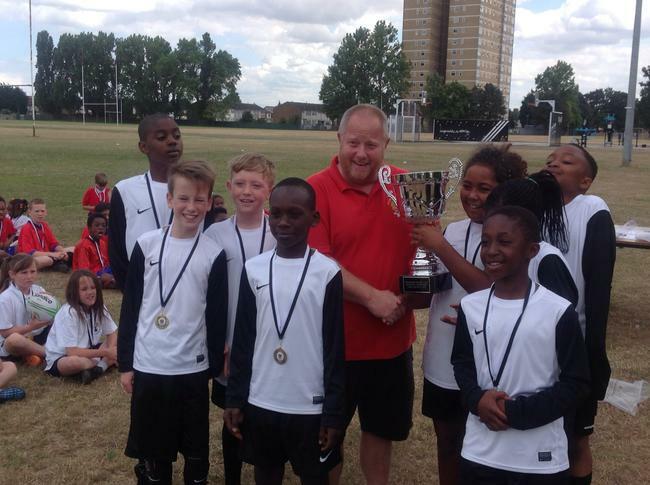 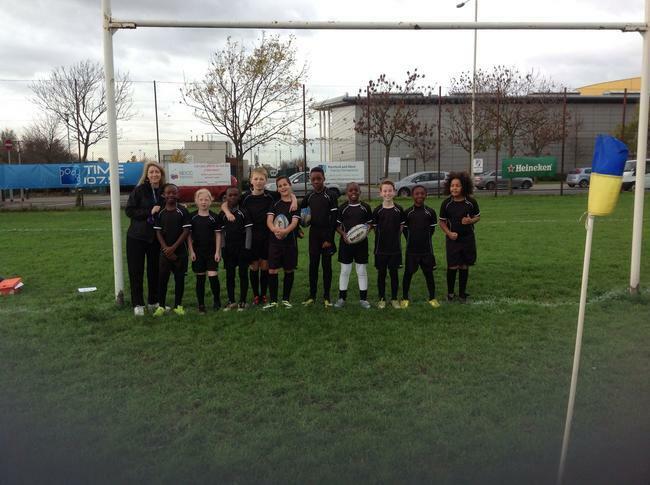 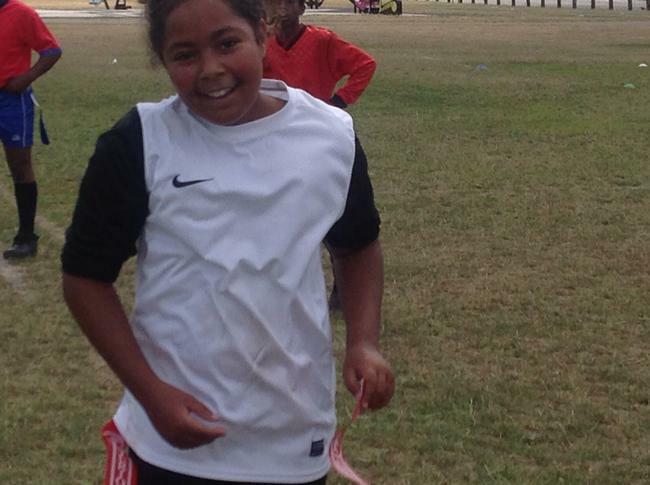 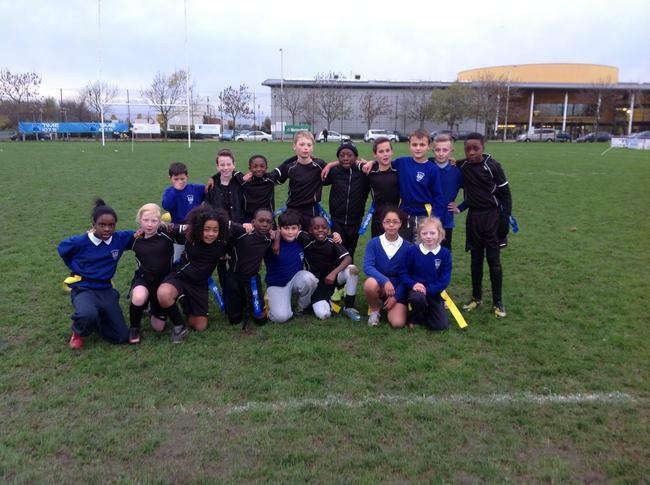 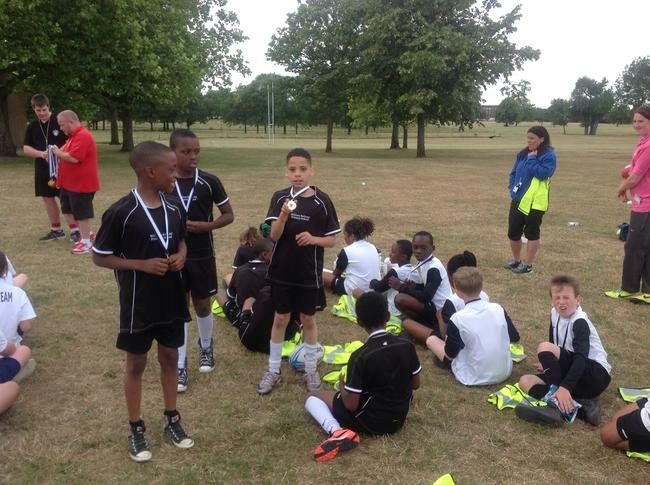 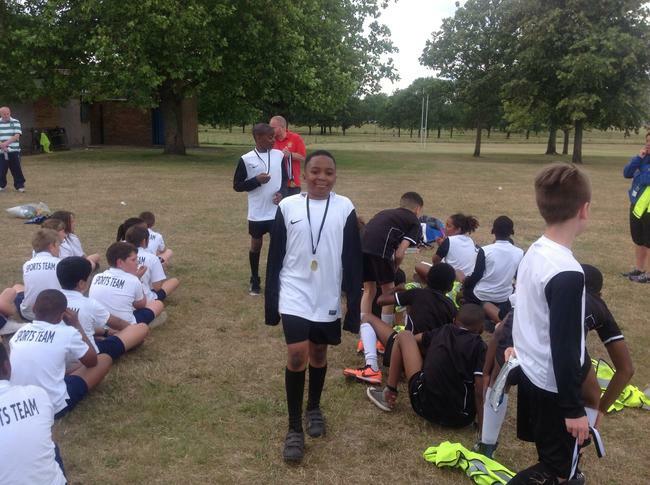 A massive congratulations to the William Bellamy's Tag Rugby Team who won Gold at the Borough's Tag Rugby Tournament. 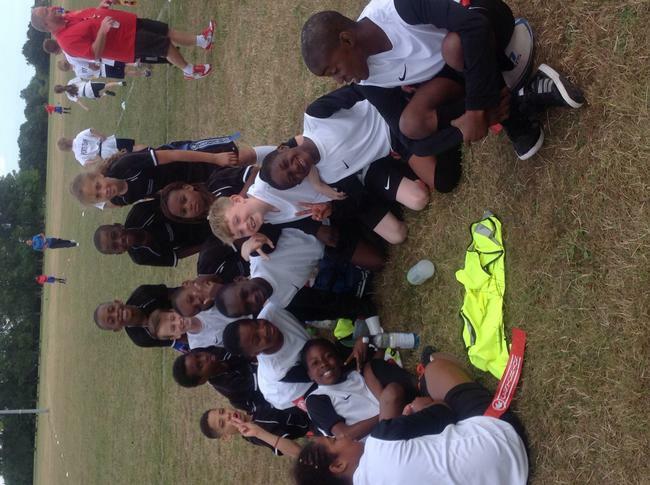 The team were unbeaten throughout the tournament. 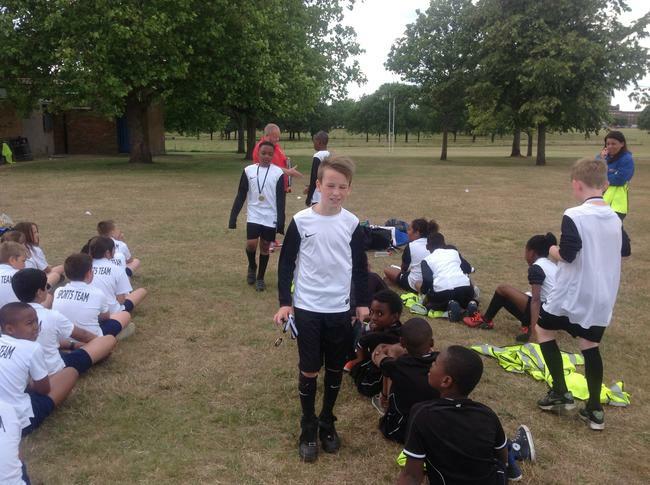 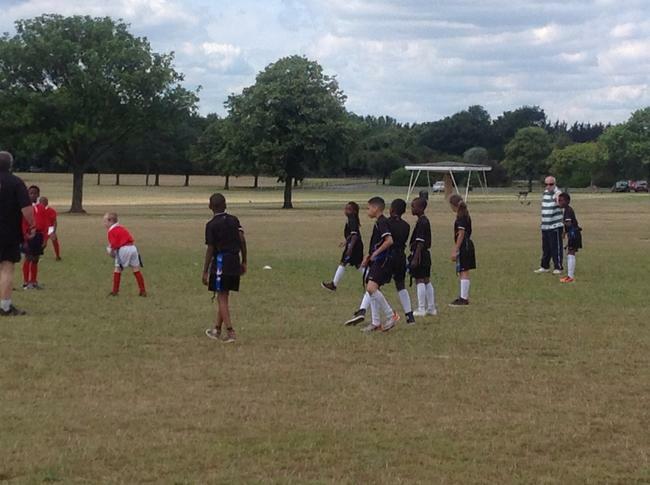 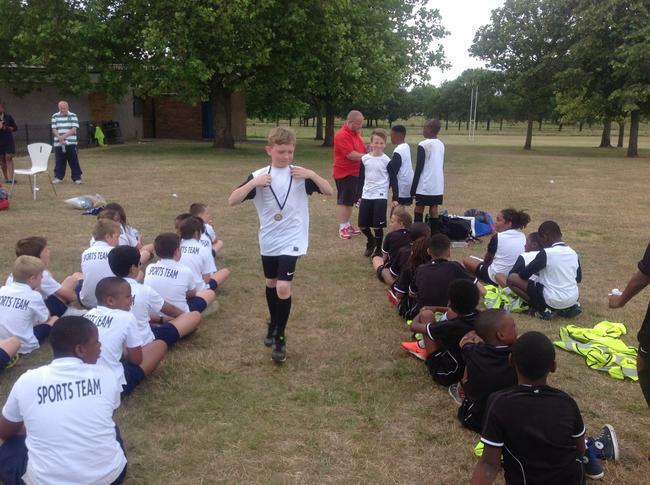 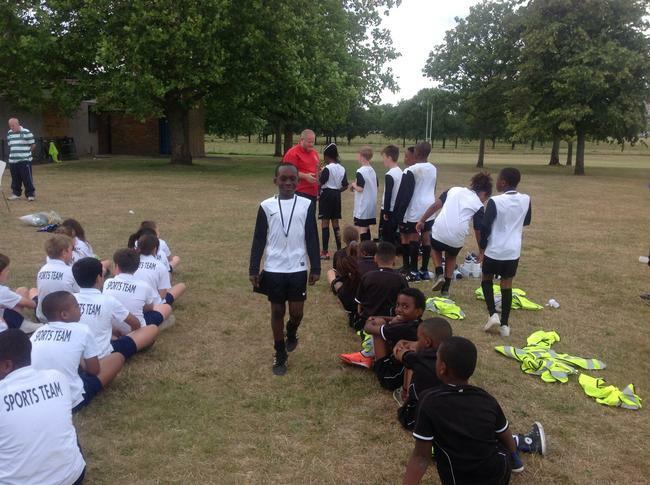 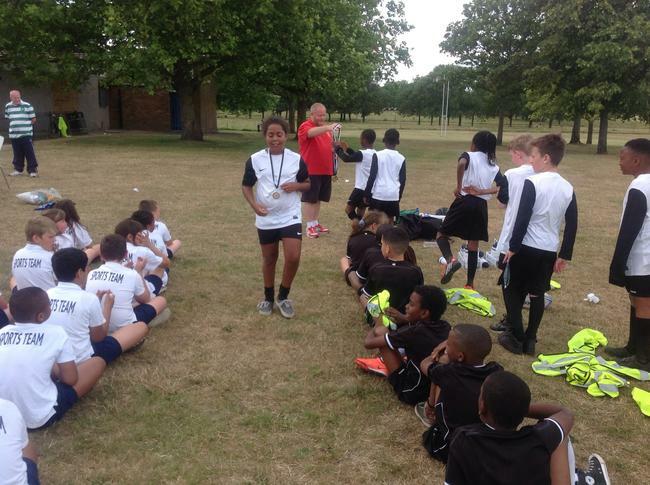 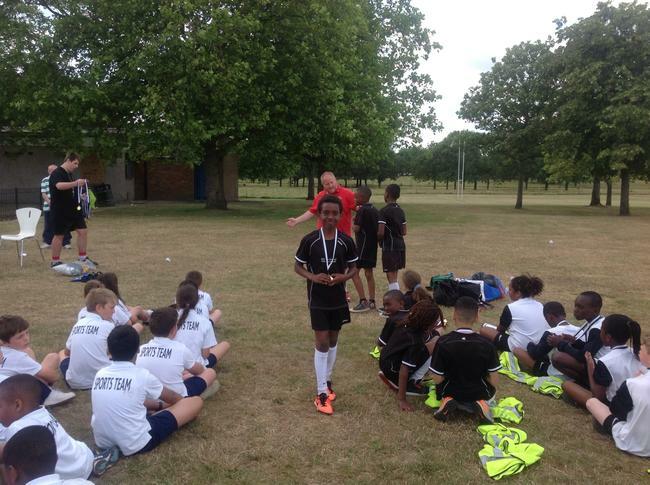 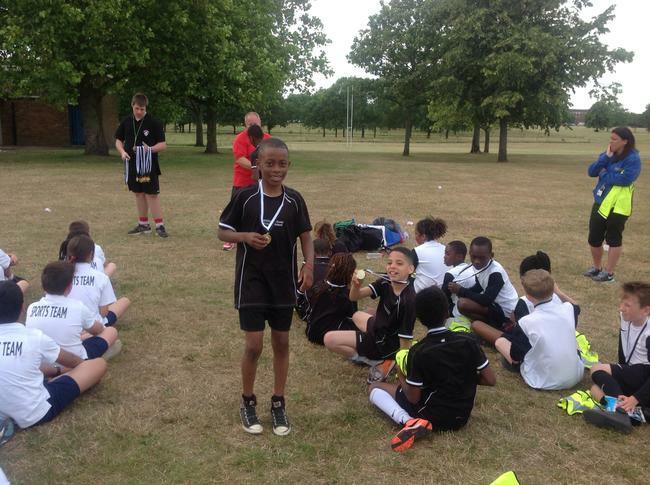 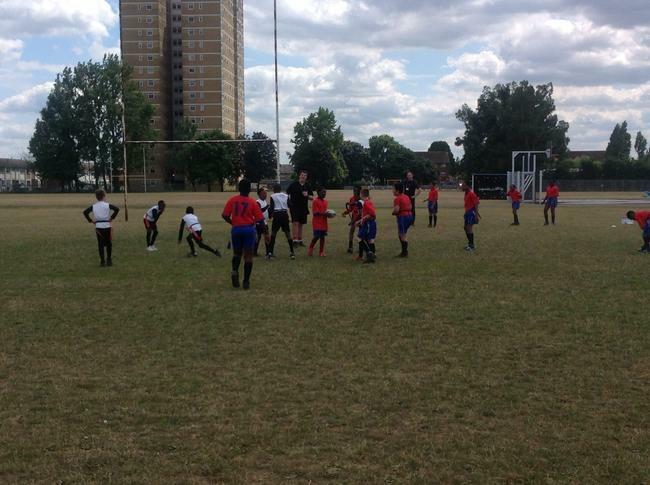 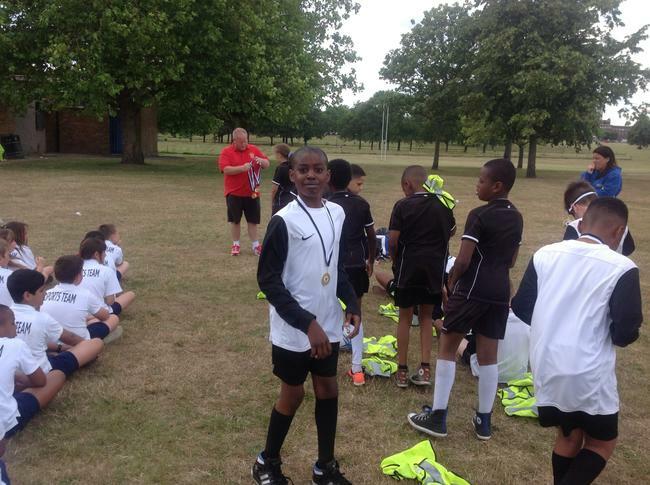 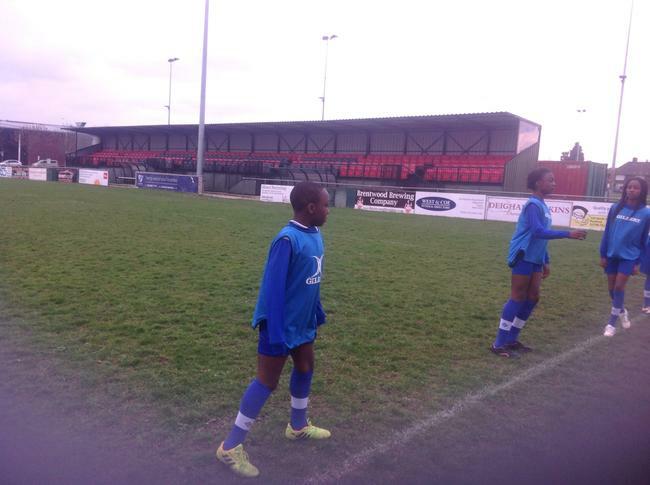 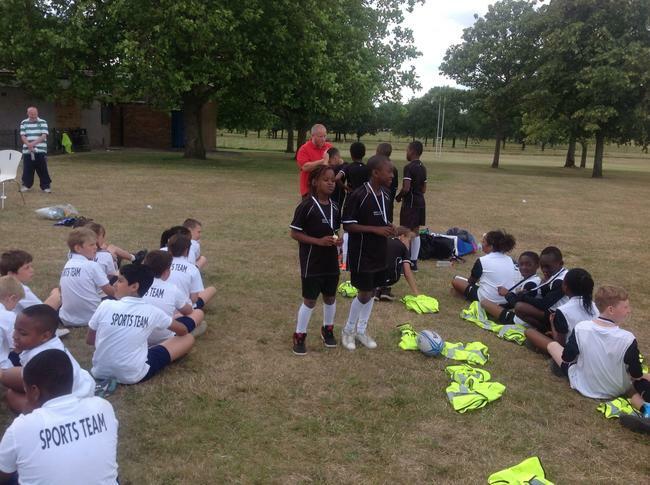 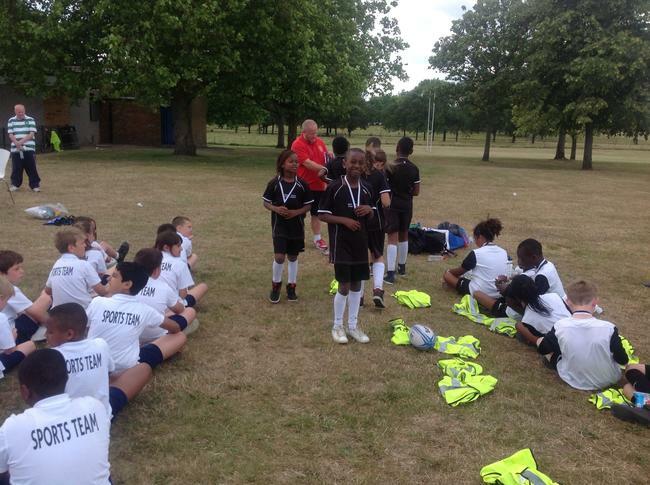 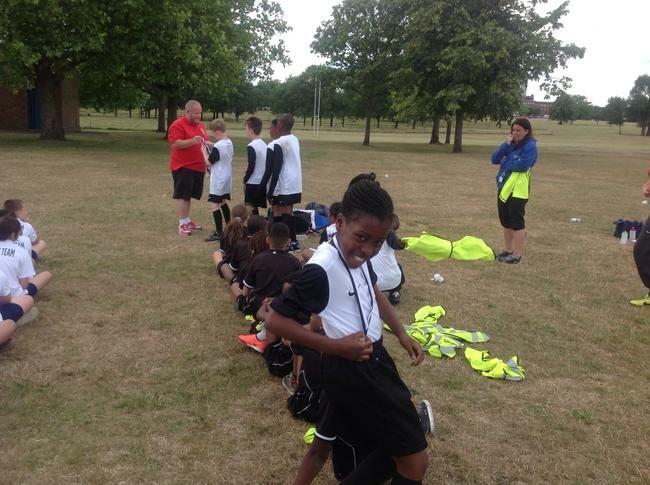 The Team will now represent Barking and Dagenham at the London Youth Games 2014 at Crystal Palace. 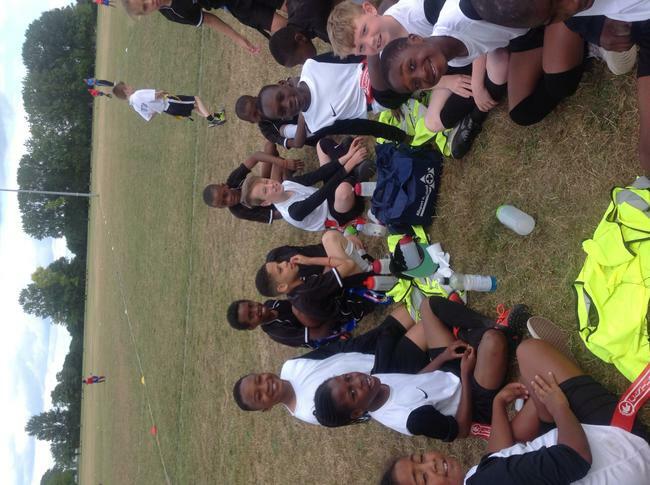 The Team had a fantastic afternoon. 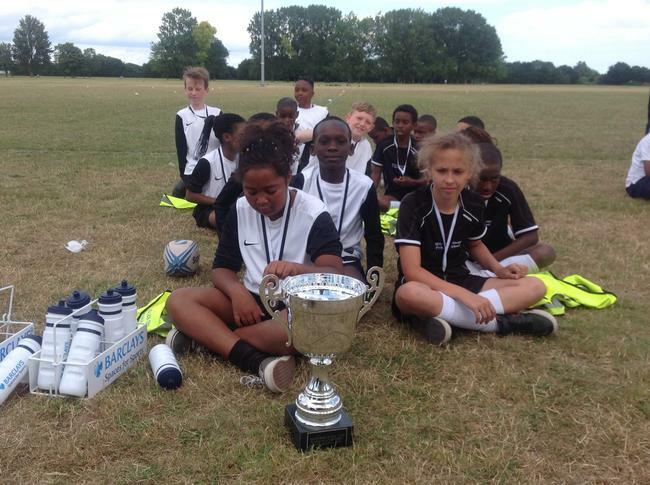 The team not only excelled in their performance but also demonstrated excellent sportsmanship, they used their coaching skills to support each other and determination to win every match. 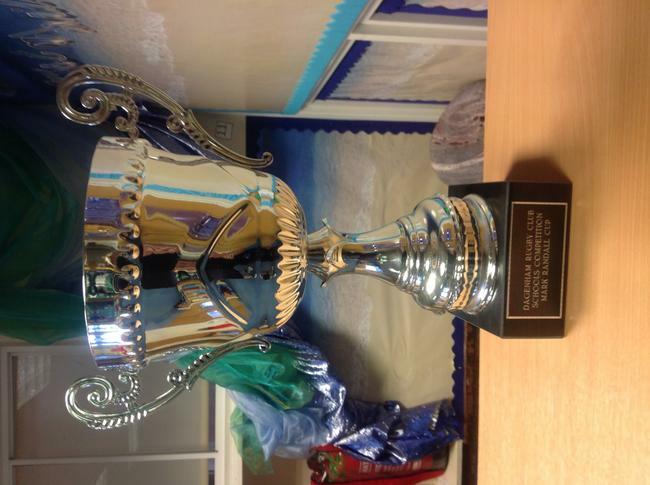 Well Done to every member of the team!!! 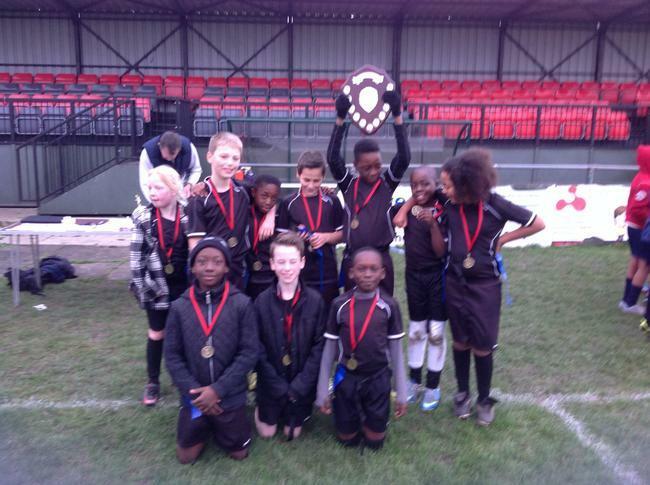 We'll done to the year 5 & 6 Tag Rugby team who won the Barking shield! 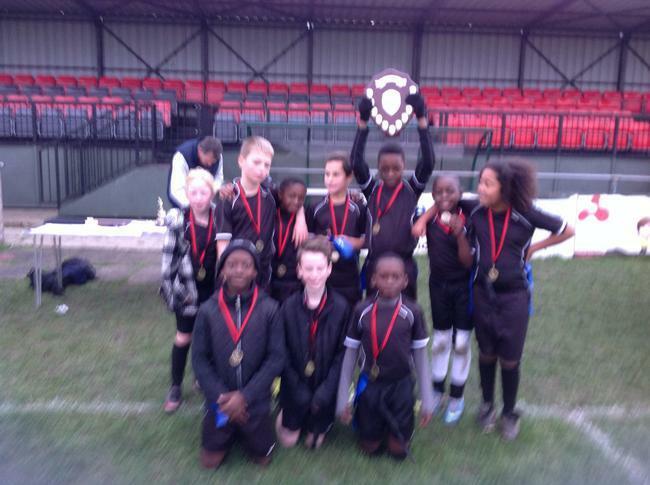 Winners of the Barking Rugby Club shield!